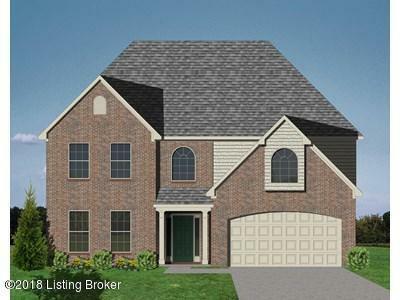 The Highland is a traditional 2 story home with a second floor master suite. On the first floor you will find a spacious kitchen with large pantry that is open to the family room. The family room features a beautiful stone to ceiling fireplace and is convenient to a covered deck. Also on the first floor is a guest suite with full bath. Upstairs a master bedroom with very large walk in closet, master bath that features a fully tiled shower, large garden tub and double bowl vanity. Two additional bedrooms on second floor as well as loft area and utility room. This home has a walk out basement that is roughed in for a full bath. Many upgrades throughout the home including granite counter tops, complete appliance package and more! Call today to see this home!